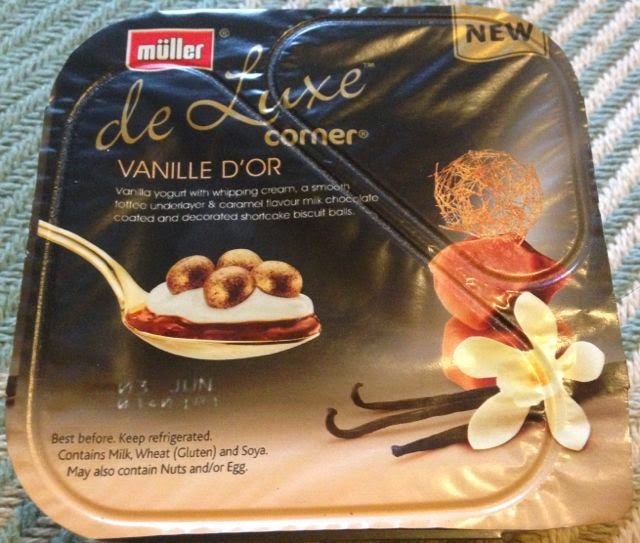 I am a big fan of the new luxury range of yoghurts from Muller, and many of the flavours have become regular items on my grocery list. I noticed that there was another new flavour in the range, and although it sounded like it might not be the most exciting variety (being vanilla), something made me pick it up. Anyway it turns out that was a lot more to this vanilla edition than first met the eye. Yes the base yoghurt is vanilla but it s a thick creamy smooth flavour, and is vanilla done really well. 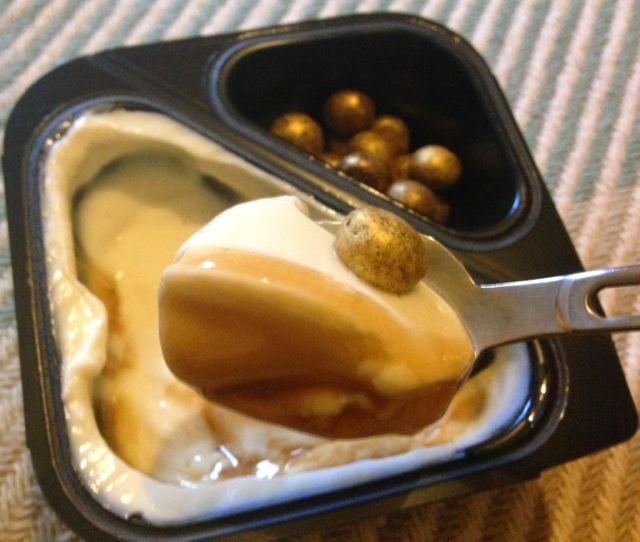 Within the yoghurt is a fab layer of toffee sauce. It is a thin sauce, quite watery but adds a nice flavour of sweet golden caramel. The biscuits are like a shortbread in taste, buttery but sweet and with a fairly light crunch. 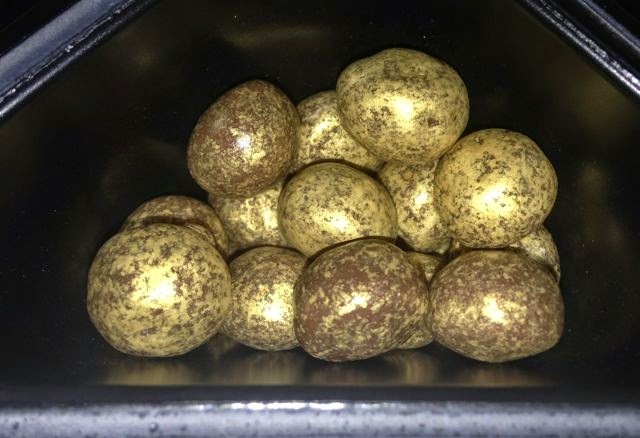 The are coated in milk chocolate, and of course the edible gold decoration! The overall yoghurt is somewhere between a toffee and vanilla flavour, and although the flavours weren’t overly complex they did work well. 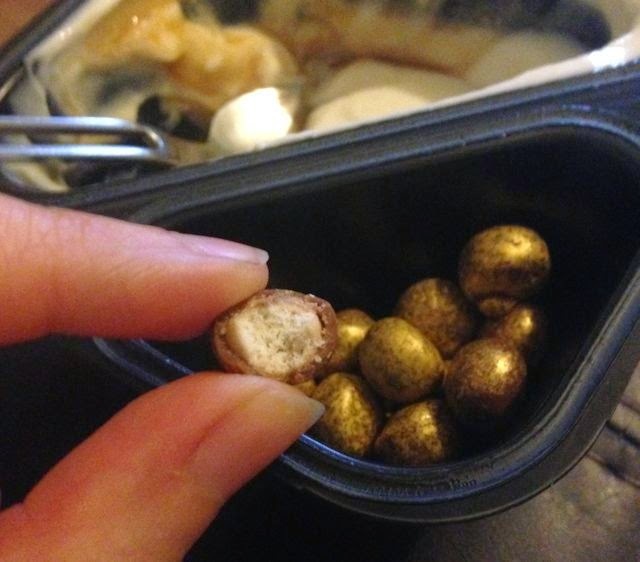 I like the golden colour on the biscuits, I did think they looked decadent, but I’m easily swayed by novelty so they may not be to everyones tastes!